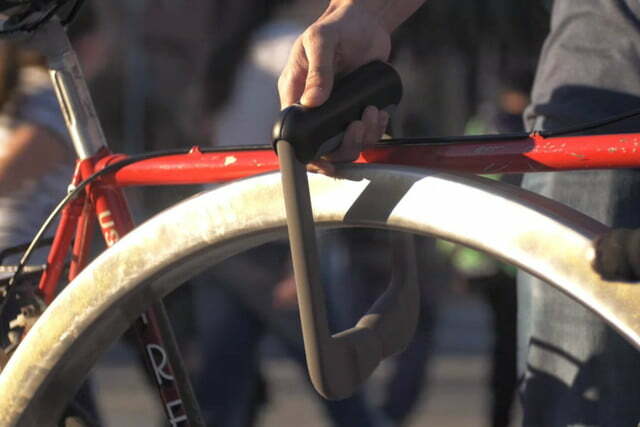 The bike lock can be the bane of a commuter’s trip, or provide a sense of security and peace of mind — it all depends on the lock. Most lock makers aim at a hard to crack design, with ease of use a secondary concern. 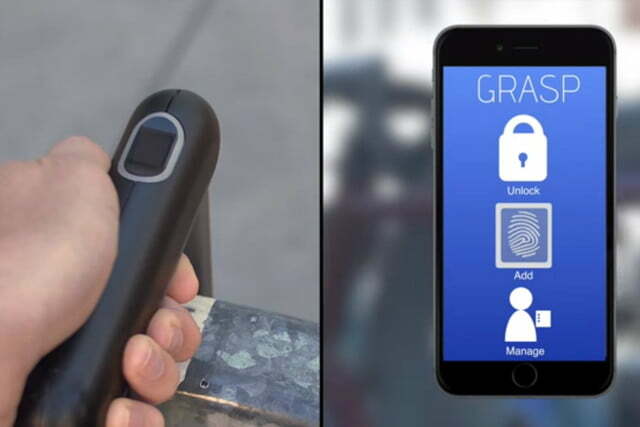 Grasp Lock on Kickstarter seems to have taken both security and ease of use into equal consideration and came up with the first biometric bike lock, and an update to U-lock design. Once Grasp Lock is set up, all you need is your naked thumb to unlock it. The world’s smallest optical fingerprint sensor is in the crossbar, and an LED display next to the reader goes from red to green when it’s open. The Grasp Lock doesn’t even have a key mechanism — that means nothing to pick and no key to carry (or copy). 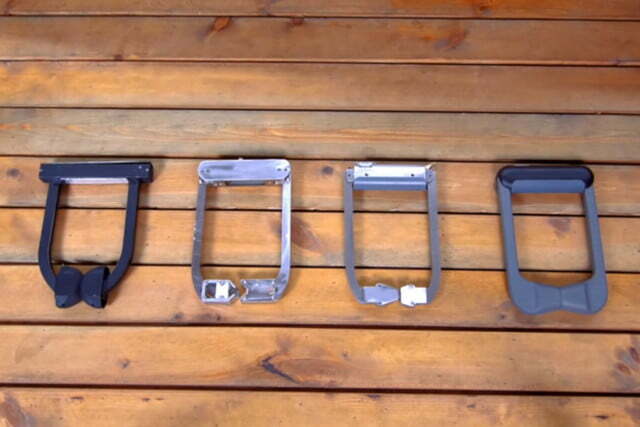 You can also open Grasp Lock with your Android or iOS phone. For setup, the lock communicates with your phone via Bluetooth Smart (with a 128-bit encryption). Each phone will come with a pairing code. Only phones authenticated with the code can access the lock, but multiple phones can have access to the same lock so you can share one with friends. This is where the freedom of keyless entry makes lending your lock even easier; if you want to lend out your lock, you can just add the user’s thumbprint via your phone — you don’t have to give them permanent access by adding their phone to the lock. Again, all they need is a clean thumb. What’s more, you can have keyless entry even when you leave your phone behind without buying an extra dongle or remembering a code. Of course, biometric entry is only half of Grasp Lock’s upgrade on the old school U-lock; the easy snap hinge that lets users push or pull the lock on or off with one hand is the other half. Instead of a solid U-shaped shackle that detaches from a crossbar like a traditional U-lock, there’s a DC motor in the arm shackle that lets the mechanism open and close. Some of us may be wondering how secure this steel shackle lock could actually be if it opens with hinges on either side. The team used Sold Secure and Stitching Art bike lock standards for the design and plans to test the lock with third-party security groups. This includes testing the security of the fingerprint sensor, a Holtek, and associated data. Hacking and fake fingerprints take a lot of premeditation for a bicycle thief, but in the small chance such an industrious burglar targets the Grasp Lock, the optical sensor has fake print resistance. The lock takes AAA batteries, the go-to for electronics used away from outlets. The Grasp team says they’re good for about 1,500 unlocks over the course of about a year. The lock shows a LED low-battery warning when the AAAs get down to 20 percent, and a notice within the app. If the lock dies when it’s closed, you can use the special Allen-key like tool included with the lock to open the compartment and replace the batteries – an otherwise easy operation when the lock is open. If unpowered, the lock remains locked, so taking the batteries out won’t help thieves. 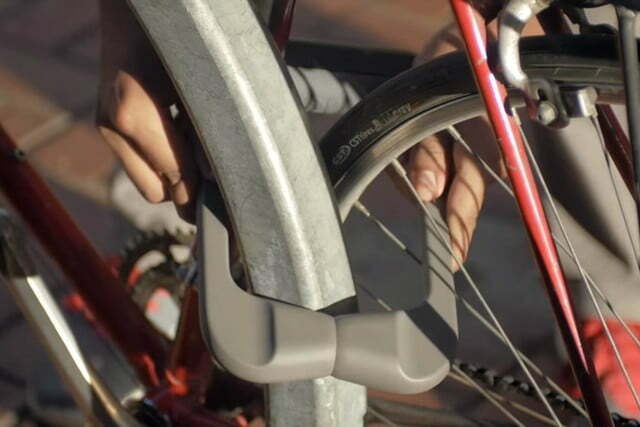 You can grasp one of these biometric bike locks for $130 by backing the Kickstarter campaign. The Grasp Lock is set to retail for $160. There are few dumb U-locks in the same price bracket; only the New York Fahgettaboudit from Kryptonite compares ranging from about $85 to $125, while arguably the toughest unusual lock, the TiGR, goes for $175 to $200. 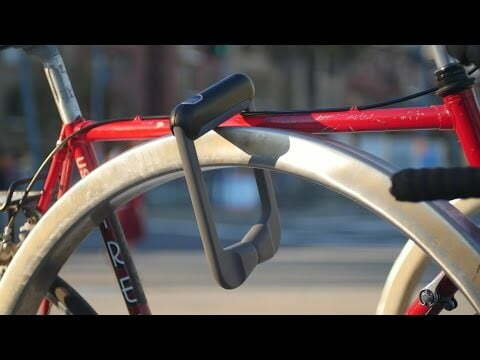 There are other smart bike locks with all kinds of bells and whistles like the Skylock in development threatening to retail for as much as $250 pre-orders ship in March. 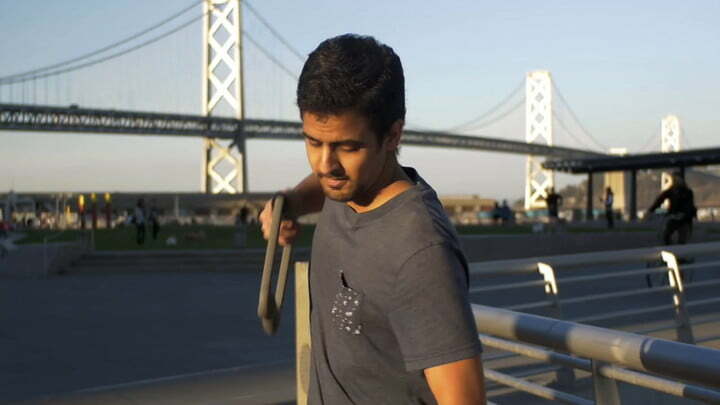 Grasp Locks are set to ship in November 2016, but delays are not uncommon with crowdfunded projects. While the proof of concept is pretty awesome, a chin-ups demo video like one backer suggested (Dan J. Williams, we’re looking at you) would be doubly awesome to demonstrate the lock’s strength. Same goes for a jack pressure test to see how easy it is to push the arms apart. We’ll just have to wait and see the testing results.